Large armchair / small sofa with removable slipcover. 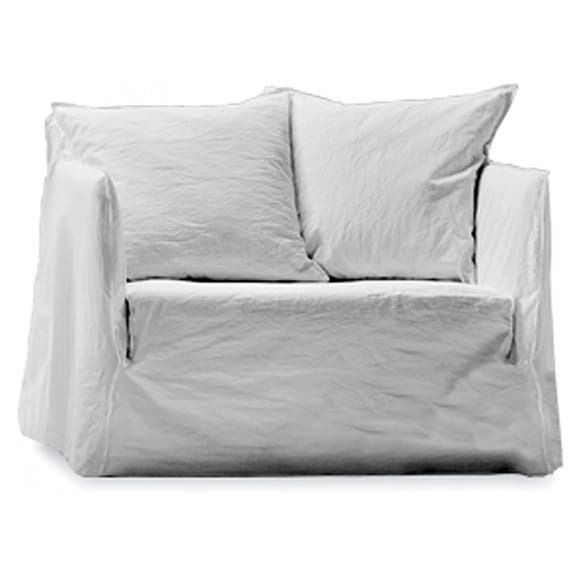 Extra large armchair or extra small sofa - the lovesat Ghost 09 is both in one furniture. With multilayer and solid wood frame, upholstered with polyurethane foam, removable cover in different fabrics available. 2 cushions included. Do you have a question about "Ghost 09"? How can we contact you?